She is your tropical treat wearing the Stella McCartney Kids™ Banana Patch All-In-One. Banana embroidery along the chest. Product measurements were taken using size 12 Month. Please note that measurements may vary by size. 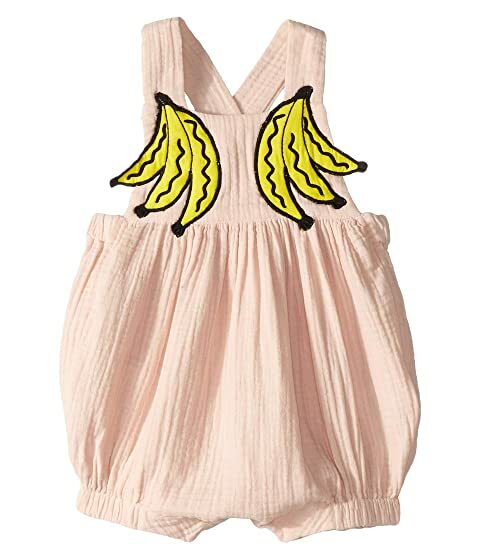 We can't currently find any similar items for the Banana Patch All-In-One (Infant) by Stella McCartney Kids. Sorry!